Makena & Ryan’s engagement session took place at what will be their September wedding venue, Moonlit Farms. Brittany and Patrick’s Louisville, KY wedding, was nothing short of joyful, fun, and real. Together they planned their dream day just as they saw fit. This Louisville, KY fall engagement session consisted of fur babies, a true sweet and playful love, with a playful engagement story to support. 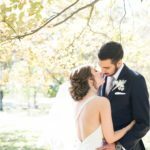 The Livery in Lexington, Kentucky was the perfect wedding venue for Lauren & Matt’s special day. It’s rustic and elegant theme paired well with their contemporary class and style. Mariana and Joe were introduced through mutual friends at a bonfire the summer of 2013. You could say that Joe was love struck by Mariana that evening.